Victoria Moran takes you by the hand to help heal the cultural wounds of women and nudges us to celebrate our body, mind, and spirit. Queen Afua takes us on a transforming journey of physical and ancestral healing that will restore the magnificence of our spirits through sacred initiation. From the New York Times bestselling author of Star Woman and Crystal Woman, Lynn Andrews offers essential lessons about love and unity that will readers forge their own visions and lives. A great primer for using the ancient practice of the Kabbalah to empower and magnetize your life in the 21st century! Simply put, this is the most beautiful and complete occult book ever published. It delves into the mythology, symbolism, and magical practices of countless cultures. 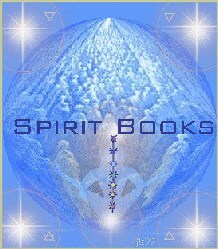 From the secrets of Isis to the teachings of mystic Christianity. 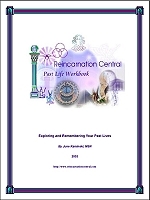 The cassettes include detailed guidance to help you to develop closer communications with your guardian angels. Includes a guided meditation tape (with harp music)entitled, "Meet Your Guardian Angel." The sacred Flower of Life pattern, the primary geometric generator of all physical form, is explored. Learn the Mer-Ka-Ba meditation, step-by-step techniques for the re-creation of the energy field of the evolved human, which is the key to ascension and the next dimensional world.